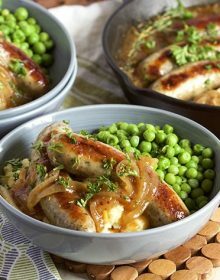 Looking for an impressive, yet easy, dinner to feed your family on the weekend? These are loaded with flavor and can feed a crowd! Grab your fork and get ready to dig into these 12 recipes for Sunday Family Dinner! Sunday seems to be the day that many families get together and enjoy a hearty meal. I hear about “Sunday Family Dinner” a lot, like it’s an urban myth. The Sopranos had them all the time….every Sunday to be exact. Katie, my daughter, goes to Sunday Family Dinner at her friend’s house pretty frequently. And she’s not even their family. I have thought about crashing “family dinner” because she always comes home with a laundry list of items they had that night. AND the fact that she’s not here for OUR Sunday family dinner makes me not want to cook a big family dinner. Since that only leaves 2 1/2 people for dinner…what’s the point. But since I like to eat….I still cook enough to feed an army….and sometimes we have people here to eat it and other times…we don’t. Those are the days that we morph the leftovers into new dishes approximately 3-4 times that week. Not a bad plan when you don’t come from a family of 14 or if your family is spread out over the entire eastern seaboard. I pulled together some of the most popular “Entrees for a Crowd” recipes on The Soapbox to share with you. If you’re looking for a quick family dinner because your in-laws called and will be at your house in 20 minutes….I got you covered. If you’re looking for something impressive but easy for your meat-loving family….it’s here. If you’re looking for a vegetarian option for your sister who is a newly initiated PETA member…..check out the “Vegetarian” dishes on my recipe tab. I was hungry when I created the slideshow….when I’m hungry the last thing I’m thinking of is vegetarian. Sorry PETA girl. 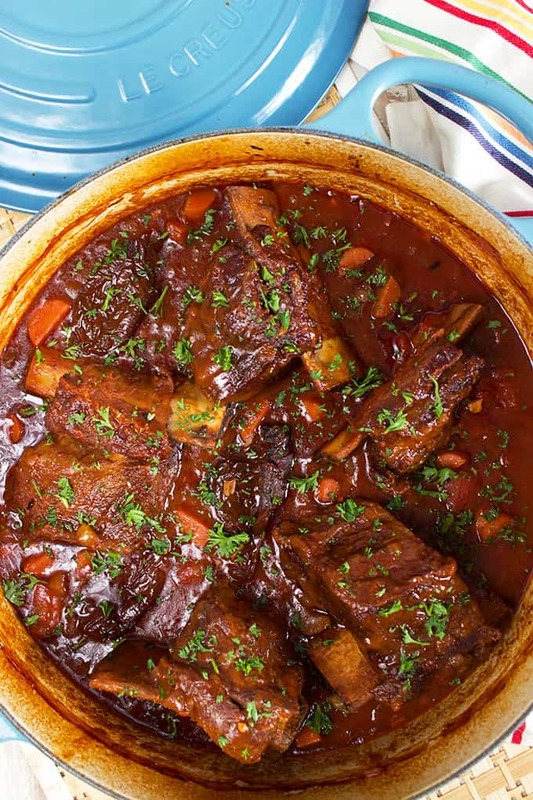 Honey Chipotle Braised Short Ribs – A little sweet, a little spicy…..Honey Chipotle Braised Short Ribs are the most fabulous dinner you’ll ever make. Slow roasted in the oven, Instant Pot or slow cooker, this braised short ribs recipe is one for the record books. 2. 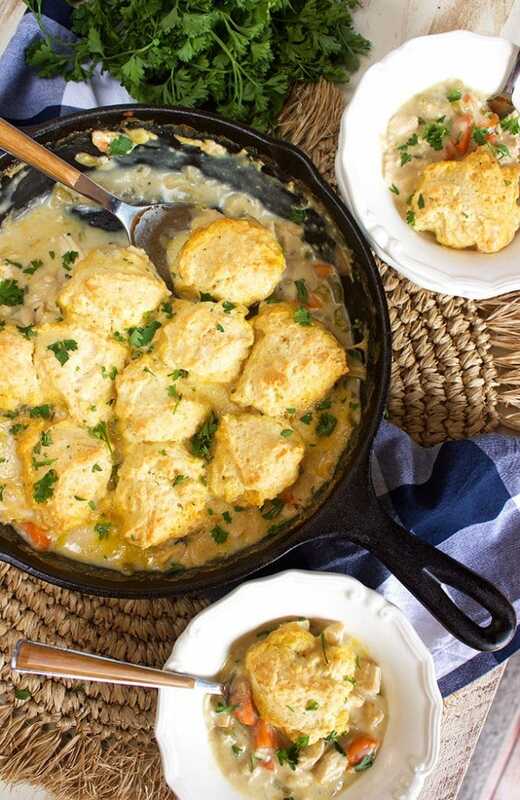 Chicken and Dumplings Skillet Casserole – Ultra creamy, quick and easy, this Chicken and Dumplings Skillet Casserole recipe is a wonderful weeknight comfort meal. A one-pot dinner that the entire family will LOVE and only one pot skillet to clean. 3. The BEST Stuffed Cabbage Rolls – The real deal, inspired by my Polish family’s recipe, this is the easiest way to make the BEST Stuffed Cabbage Rolls around. 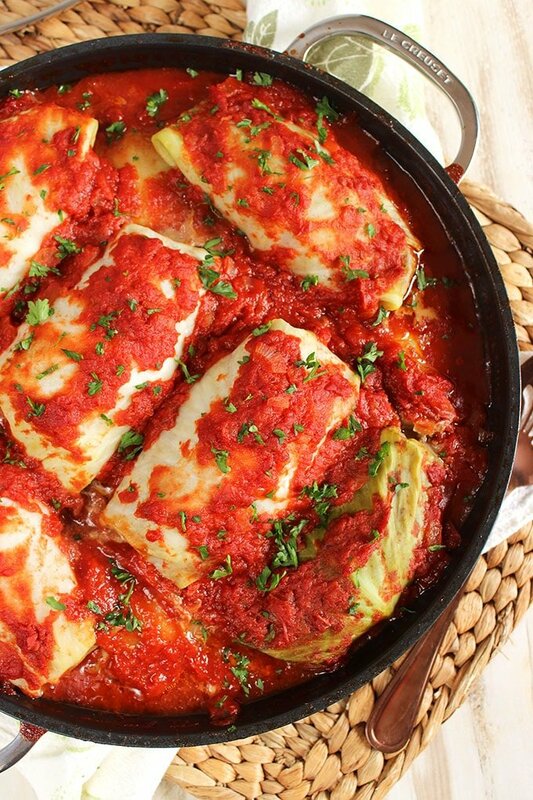 Tender beef and rice are stuffed into fresh cabbage leaves then braised in a savory sweet tomato sauce. 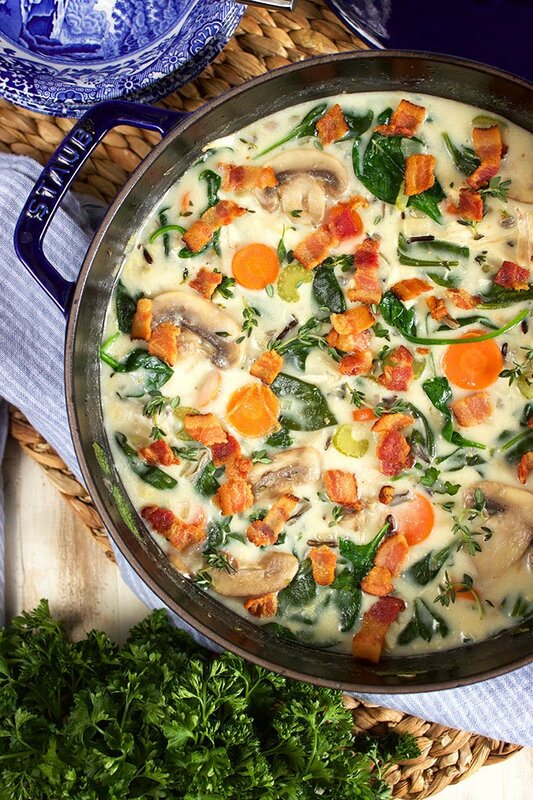 The ultimate in one pot dinners and totally freezer friendly! 4. 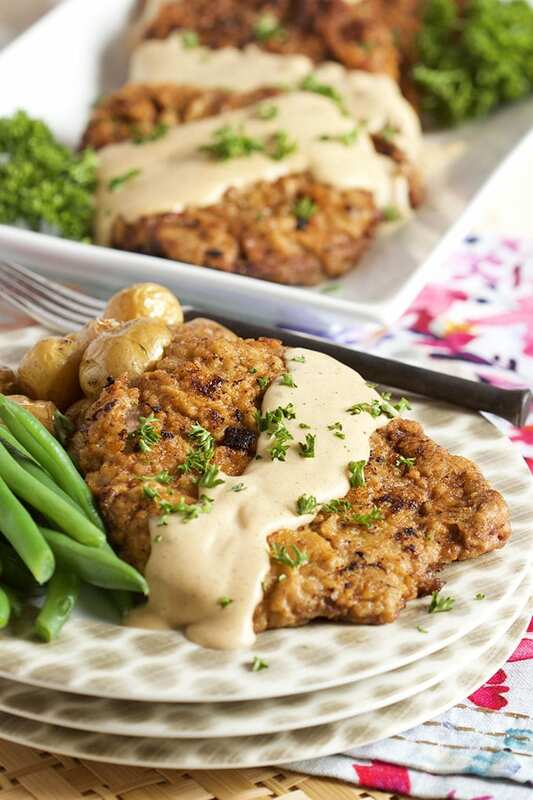 Chicken Fried Steak with Country Gravy – Crispy on the outside, tender and juicy inside….Easy Chicken Fried Steak with Country Gravy is a dinner the whole family will love. Simple to make and ready in less than 30 minutes from start to finish. 5. Salisbury Steak with Mushroom Gravy – Seriously the BEST Salisbury Steak Recipe of all time, a true winner in my house. 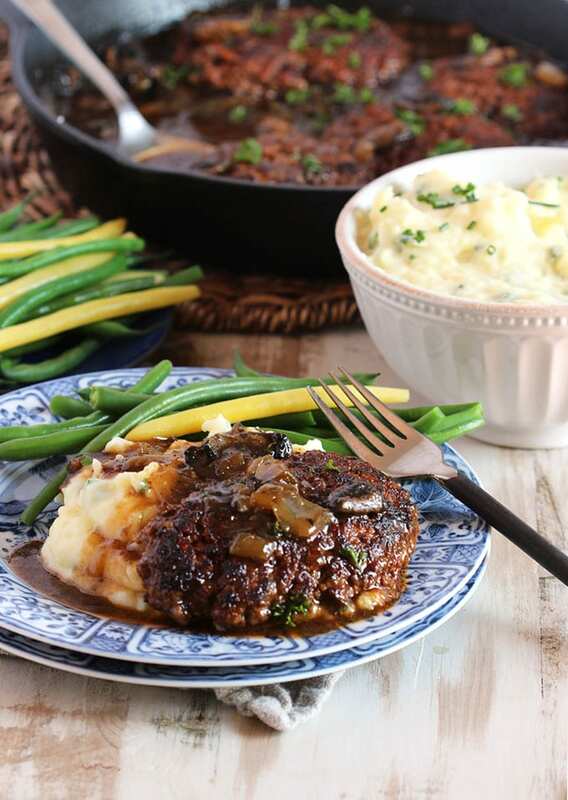 This easy one-pot Salisbury Steak with Mushroom Gravy is quick, simple and loaded with meaty goodness. A great dinner for every night of the week. 6. 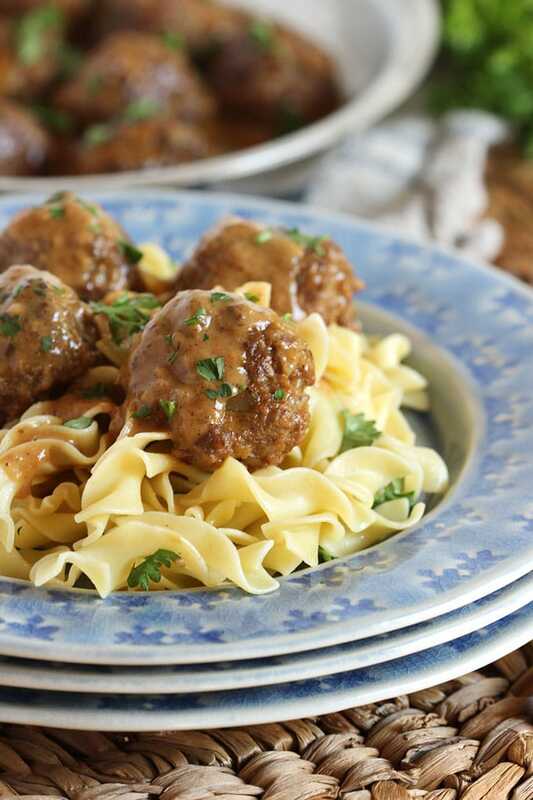 Simple Swedish Meatballs – There’s nothing better than homemade meatballs and my version of Swedish Meatballs is the ultimate comfort food. Bathed in a rich, creamy gravy and perched on a pile of buttery egg noodles, these are WAY better than IKEA! 7. Herb Crusted Standing Rib Roast – The easiest, most fool-proof way to make a Standing Rib Roast. Herb Crusted Standing Rib Roast with Mustard-Horseradish Sauce is a show stopping, jaw dropping dinner that’s simple to make. 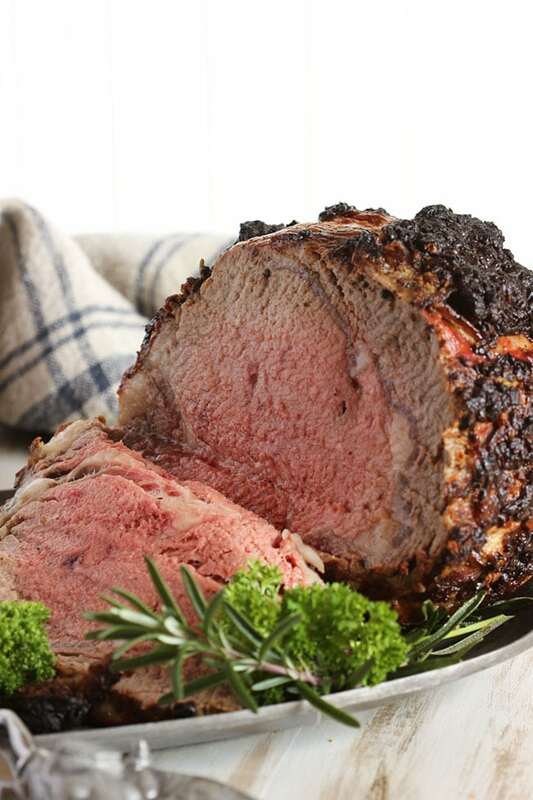 Prime Rib Roast is crusted with an herb and mustard blend then roasted to perfection. 8. 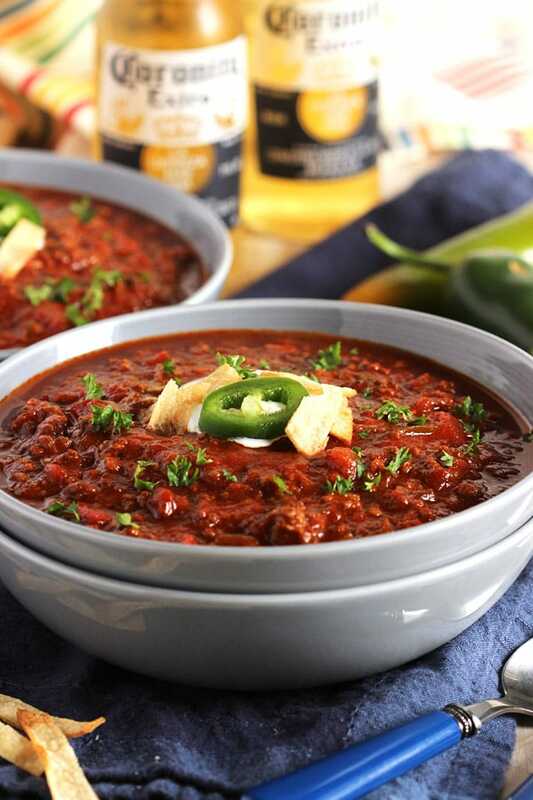 Slow cooker Sweet and Spicy Chili – This Sweet and Spicy Chili is made in the slow cooker for deep, concentrated flavor. The BEST chili recipe around, I use a secret ingredient to create a sweet-tart background to this slightly spicy recipe. 9. 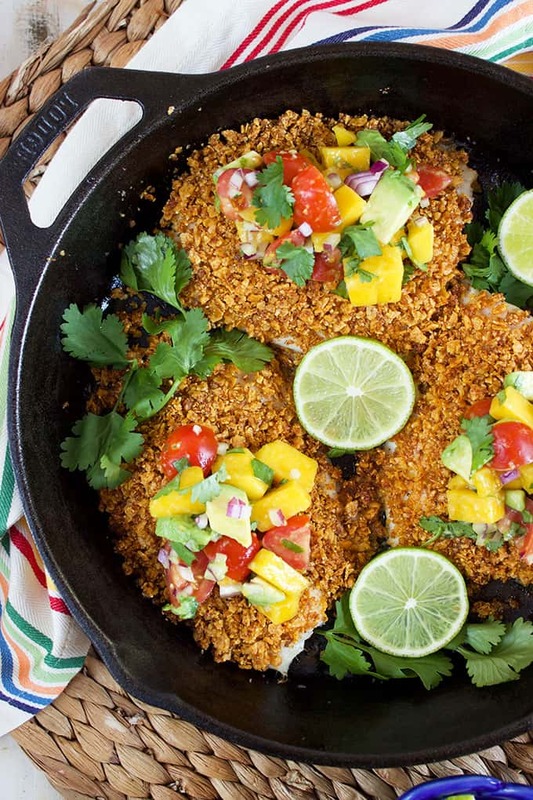 Tortilla Crusted Tilapia with Avocado Mango Salsa – Fast and easy, Tortilla Crusted Tilapia with Avocado Mango Salsa comes together in a snap for healthy weeknight dinners. Tender, flaky fish is topped with a crunchy tortilla crust that has a perfectly spicy bite. The Avocado Mango Salsa is the perfect balance for the subtle heat. A hit with the entire family. 10. Easy Creamy Chicken and Wild Rice Soup – The definition of comfort food right here! This Easy Creamy Chicken and Wild Rice Soup is ready in about 30 minutes from start to finish. A family favorite, this rich and creamy masterpiece is light on calories but big on flavor. You’ll be adding this one to the weekly meal plan for sure! 11. 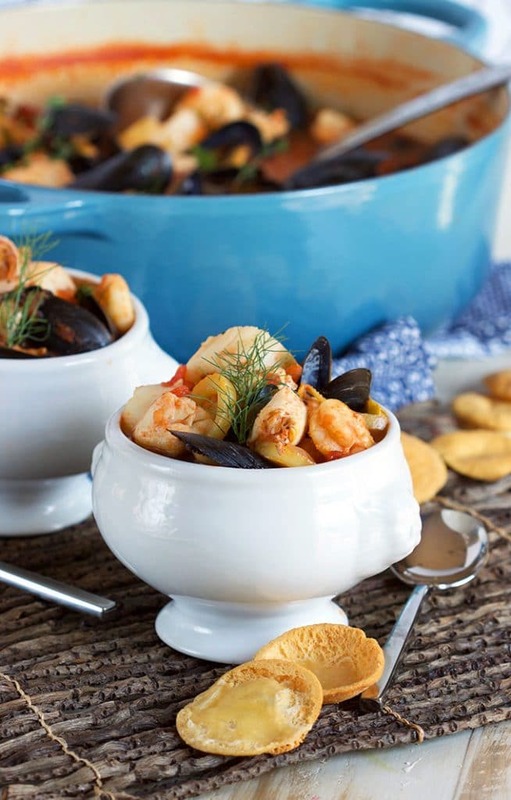 Easy Classic Bouillabaisse – This Easy Traditional Bouillabaisse recipe is a classic that’s perfect for the holidays! 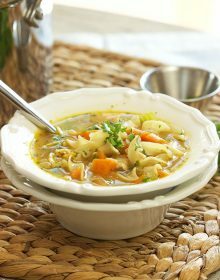 Quick and simple to throw together, this flavorful seafood stew is made with whatever fish is available at the market. A totally jaw dropping meal to serve for any occasion. 12. 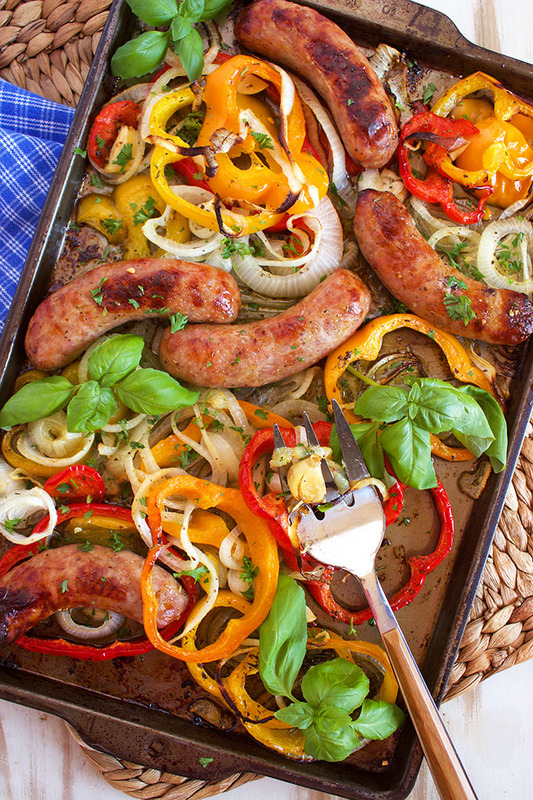 Easy Sheet Pan Sausage and Peppers – An Italian favorite made better….this easy Sheet Pan Sausage and Peppers recipe is the one “pot” dinner your family will love. Thrown together in minutes, it’s perfect served as a sandwich, piled high on a mountain of pasta or just enjoyed as is in all it’s flavorful glory. How do I get to the slideshow? Thanks! Could not see how to start the slide show which is a shame as I would have liked to have read it. I’m so sorry….this post is so old and the company that was hosting the slides has disbanded. I’ll put a new one up soon!